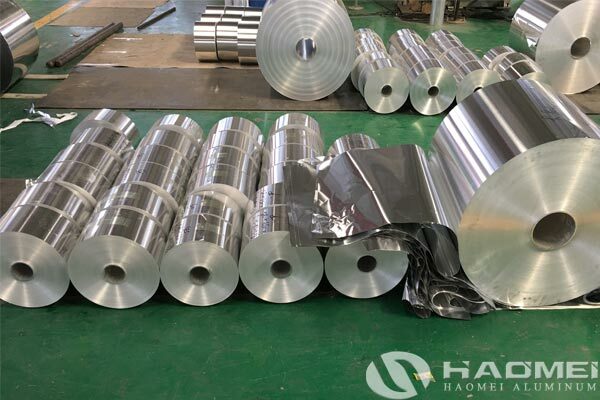 Aluminium foil factory in China has advanced process technology and strict quality control, Haomei can supply high quality aluminum foil with thickness 0.002-0.9mm for many industries. To aluminium foil factory, the process technology can be the most important facotor that affect the product quality. Advances in aluminum foil production technology have benefited from two main areas, automatic control and smelting technology. The first is the advancement of automatic control technology, the application of computers, especially the application of digital technology, is the main content of the progress of aluminum foil factory production equipment. The so-called electrical upgrade of equipment is mainly the upgrade of control system. The shape meter and the thickness gauge are all progressing with the advancement of digital control technology. The shape meter is more commonly used, with more stable performance and lower cost. VC rolls are increasingly being applied to wide-width aluminum foil mills, and the cost is also getting cheaper. Secondly, the progress of smelting technology, the application of new smelting technology has improved the intrinsic quality of aluminum plates, especially the new technologies such as hydrogen removal and electromagnetic stirring, which are widely used. The grain size and hydrogen content of aluminum plates can be controlled at stable level. Advances in raw materials have made it possible to produce 6 micron, 5 micron, or even 4 micron aluminum foil. The thickness of the aluminum foil that can be rolled depends entirely on the quality of the raw materials. Aluminium foil factory in China supply aluminum foil production thicknesses range from 7 microns to 5 microns, widths range from 1 meter to 2.3 meters, and there is no essential difference in rolling speeds from 500 meters to 2000 meters. The more outstanding progress is the progress of raw materials, especially the casting and rolling production technology is a revolutionary progress.